Jeffrey Campbell Delyth Pump $179 Free US shipping AND returns! 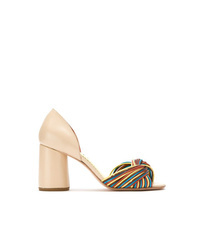 Ted Baker London Mikali Yarn Pouf Sandal $146 $194 Free US shipping AND returns! 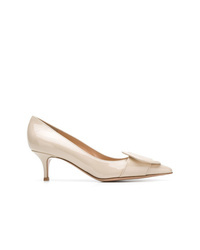 Naturalizer Wright Pump $109 Free US shipping AND returns! Prada Logo Embellished Patent Leather Pumps $468 $780 Free US shipping AND returns! 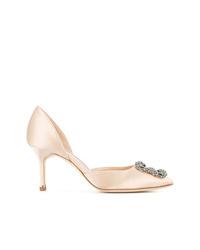 Roger Vivier Belle Vivier Trompette Patent Leather Pumps $695 Free US shipping AND returns! 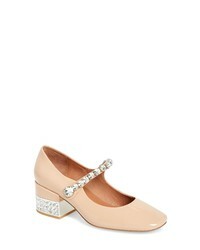 Marni Button Embellished Pumps $663 Free US Shipping! 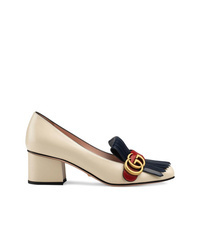 Gucci Leather Mid Heel Pump With Double G $669 Free US Shipping! Sarah Chofakian Leather Pumps $336 $559 Free US Shipping! 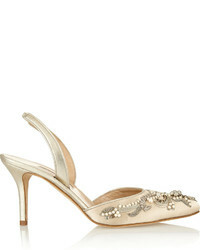 Gianvito Rossi Embellished Pumps $629 Free US Shipping! 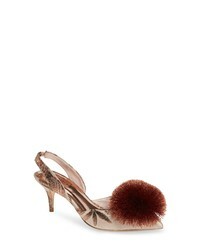 Manolo Blahnik Hangisi 70 Pumps $1,352 Free US Shipping!